Fig. 7 – Church of St. Francis, Salvador, Bahia, details of the entrance, under the choir. Photo: Sandra Santana. And the shining light disclaimer. Amid the words, of Gregorio de Matos (1623-1696) the impressions of his time perpetuated. His irreverence and his spirit, often blunt, and took him to exile, in Angola. Perhaps, the greatest poet of the Brazilian Baroque, born in Bahia in the 17th century, took the task of reflecting on the uncertainty of his time. His religious poetry unveiled desires of spiritual sublimation and pardon requests; revolved emotions; and, above all, translated the reflections of a period divided between the medieval mysticism and the renaissance skepticism. Harmoniously, amid the antitheses and paradoxes, his reflections inquire; disconcert; raise the concerns of the soul, thought and doubts between reason and faith. In Brazil, amid a literary conscience still being formed, Baroque literature officially began, in 1601, with the publication of the epic poem Prosopopoeia of Bento Teixeira. But the Baroque arrived first at the hands of the Jesuits, initially committed to the teaching of morals and religion, to the public. Here, in colonial Brazil, the style took power between the 18th and the 19th centuries, when it had already been abandoned in Europe. 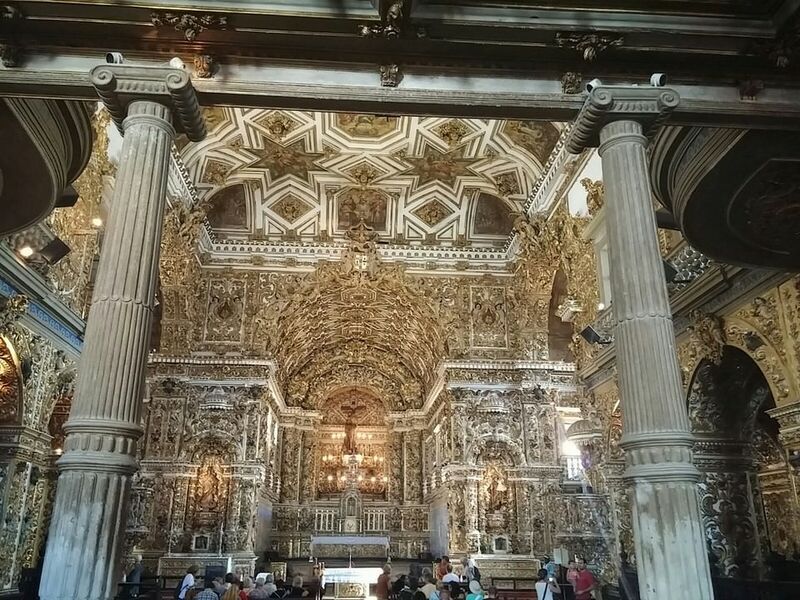 According to scholars, four phases have been identified in the Brazilian Baroque, defined by the presentation, of the richness of details and the use of colors and ornaments. In the last one, the ornaments already denoted Rococo signs with flowers, with flowers, bows and shells. Fig. 1 – Pelourinho, Salvador, Bahia. Photo: KamilloK. The presence of Baroque Art was more noticeable in urban centers, where churches were built, where images were carved and painted, with the main sense of reaffirmation of Christianity. complex aesthetic ornamentation and details of grandeur came with the purpose of illustrating the population to the values of teaching, through the understanding of religiosity. As a result, the Jesuits eventually spread the European aesthetics, while committed to be guides of the Christian Faith. The Baroque was directly influenced, by the Portuguese style, although here, it took different features, in the various regions where spread. Fig. 2 – Historical center, view of the Franciscan Home, Salvador, Bahia. Photo: Geographic Guide website – Jonildo. 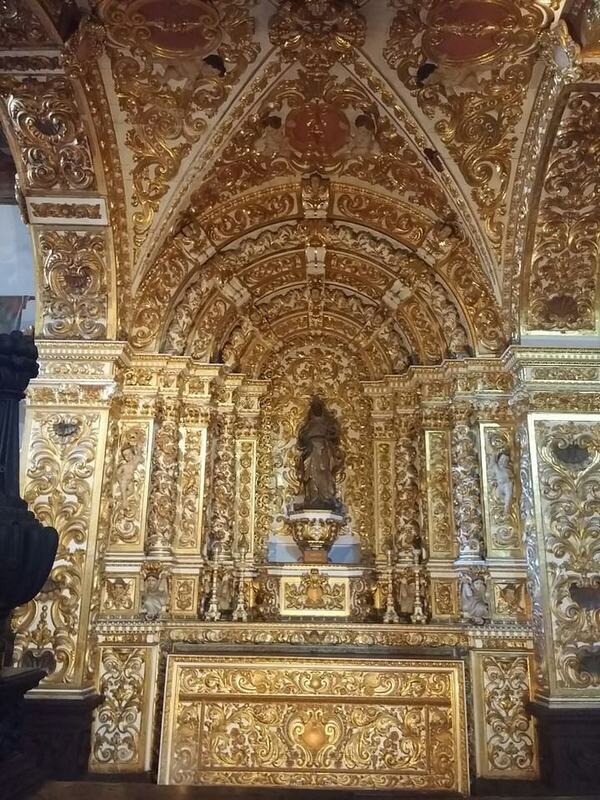 The different Baroques of Brazil, took place in regions such as Pernambuco, Bahia, Rio de Janeiro and Minas Gerais, enriched by gold and the sugar cane, the copies of the style, remain in the churches with sophisticated carvings and golden carvings, made by the hands of great artists. On the other hand, in places such as São Paulo, with less wealth, simpler works, made by lesser-known artists were left. Fig. 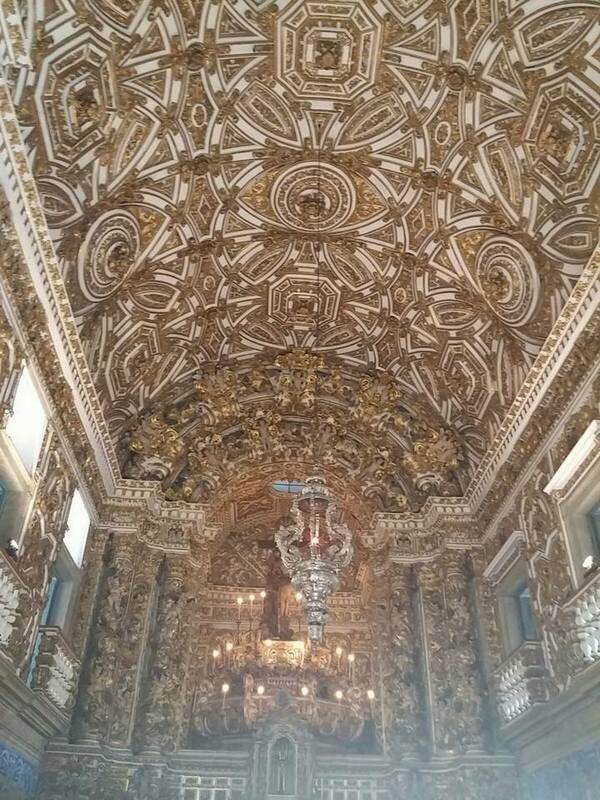 3 – Church of the Third Order of St. Francis, Salvador, Bahia. Photo: Sandra Santana. Fig. 4 – Church of St. Francis, Salvador, Bahia. Photo: Sandra Santana. Many Paulistas, organized in expeditions expeditions called Flags, headed for the cities of Minas Gerais, in search of precious stones and gold, stagnating, with it, the development of the region, what explains the simplicity of pieces, materials and even the amount of Baroque constructions. This period, in São Paulo, stands out the convent of Our Lady of Light, where today is also the Museum of Sacred Art. Among the regions that most prospered with sugar, is Pernambuco. 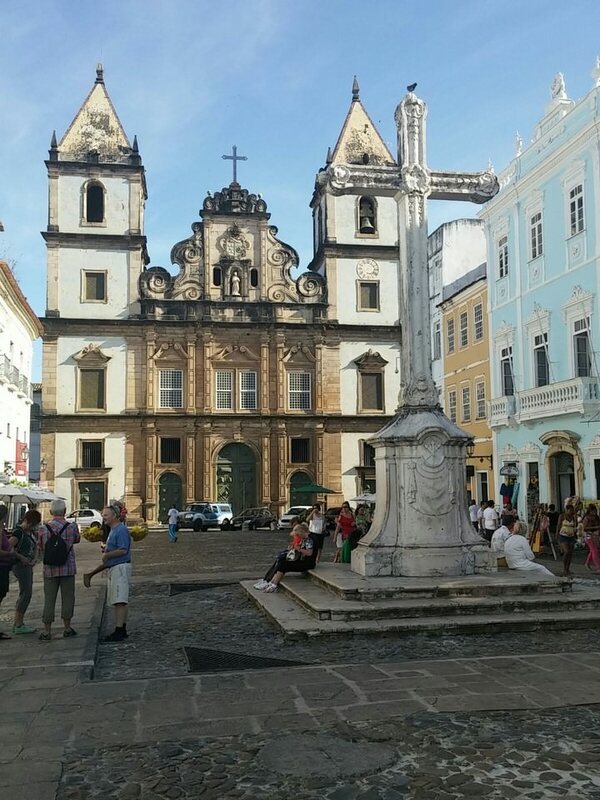 The wealth of Baroque art, in its capital, Recife, has guard the church of Saint Peter of Clerics. The work started in 1728 and ended only in 1782. Fig. 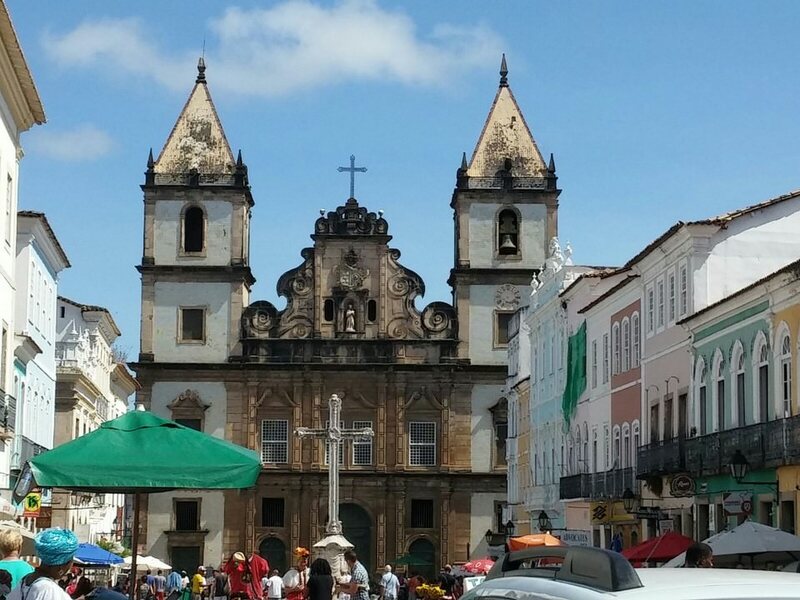 5 – Church of St. Francis, Salvador, Bahia. Photo: Sandra Santana. Fig. 6 – Church of St. Francis, Salvador, Bahia, interior. Photo: Sandra Santana. In the Brazil colony period, sugar also enriched Bahia, who, in the 17th century, was considered the richest region of Brazil. 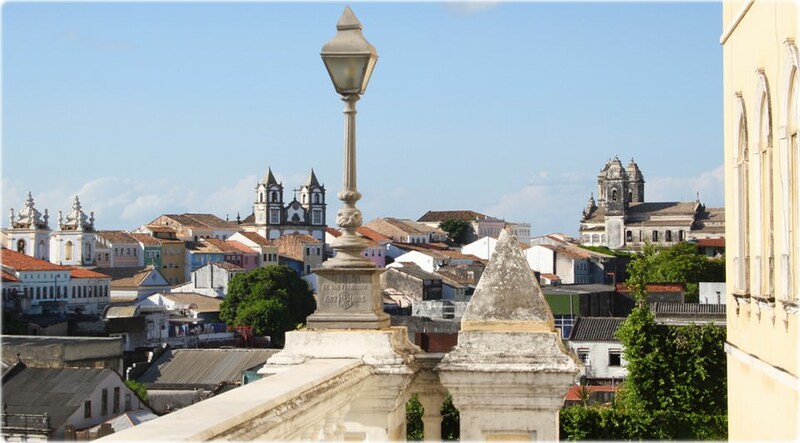 Its capital, Salvador, came to be also the country's capital. 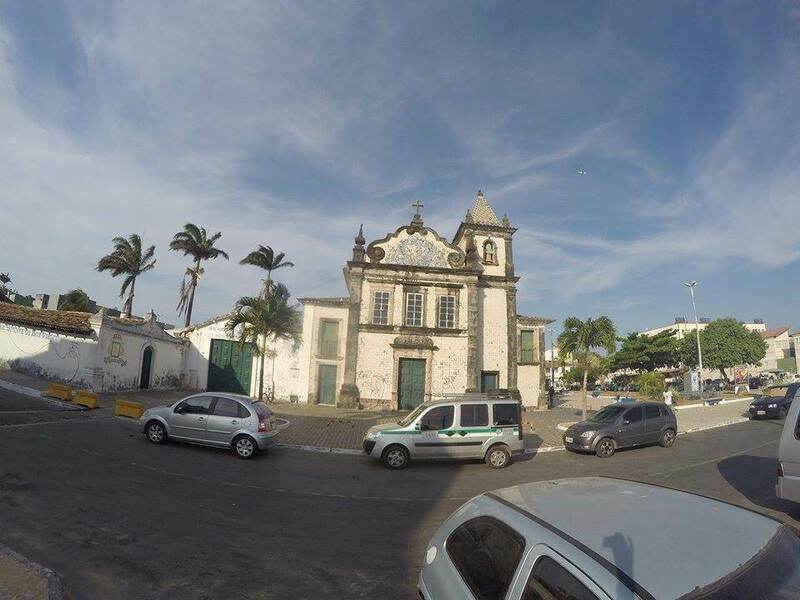 There, on the slope of Pelourinho, among the houses of the 19th century, is the best known and one of the most important architectural complex of Salvador: the Third Order of Saint Francis Church (Fig. 3), the church of San Francis (Fig. 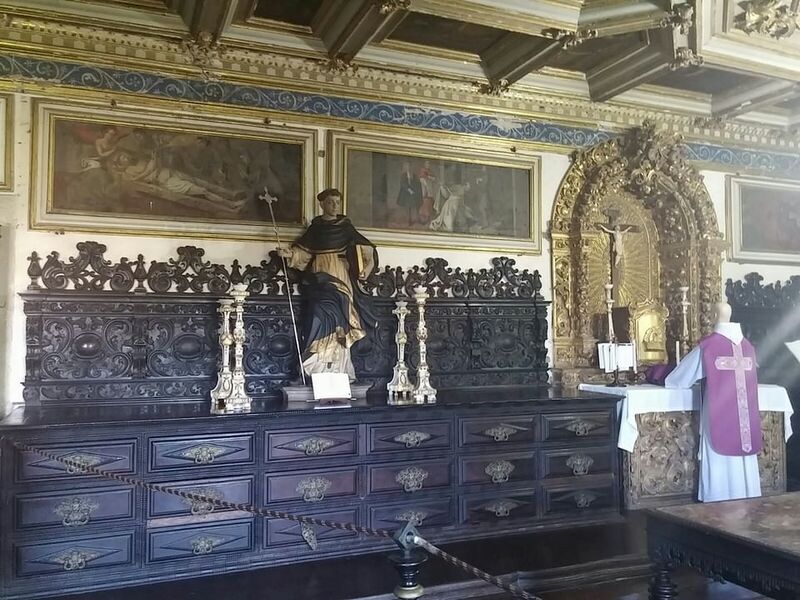 4) and the Convent of San Francis. In the central square, in front of the building, the Cross (Fig. 4), typical of the Franciscan buildings, open space. On the facade of the Church of the Third Order (Fig. 3), were carved in stone, the flowers, angels, the saints and mythological elements, amid a profusion of lines and arabesques. The exuberance is no different, in the Church of San Francis. 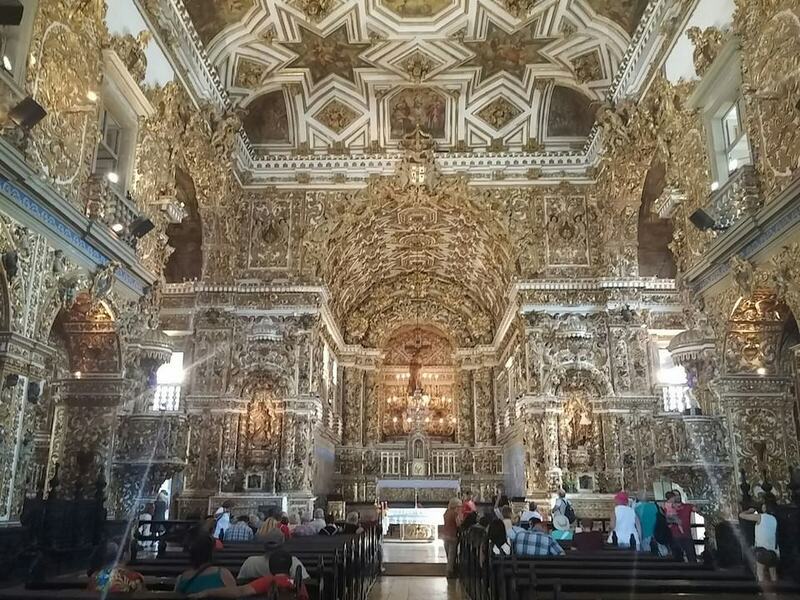 The beauty of the facade also presents the characteristic features of the Baroque, but the rich decoration of its interior (Figures 6, 7, 8, 9 and 10), justifies the title of one of the ten most beautiful churches in Brazil. The details are plenty and precious in all its surfaces, including the ceiling, columns and walls, there are golden carvings which include angels, birds, amid flowers, friezes and arches. The sculpture on the altar, which illustrates the appearance of Christ stigmatized to San Francisco, was carved in 1930, by the Bahian artist Pedro Ferreira (1896-1970) 1, who strictly followed the standards and techniques of the Baroque. The tile is also decorative element and harmonizes perfectly with the set, showing episodes from the life of St. Francis, the Bible passages, the landscapes and the bucolic scenes. The tiles also decorate the corridor that links the sacristy and access to the convent (Figures 12 and 13) many of the scenes portrayed are of moralizing content. Fig. 8 – Church of St. Francis, Salvador, Bahia, details of the interior. Photo: Sandra Santana. The growth of Rio de Janeiro, came in the 18th century, with the export of Minas Gerais gold. The port city served as a place of exchange for Portugal and, in 1763, became the capital of the country. 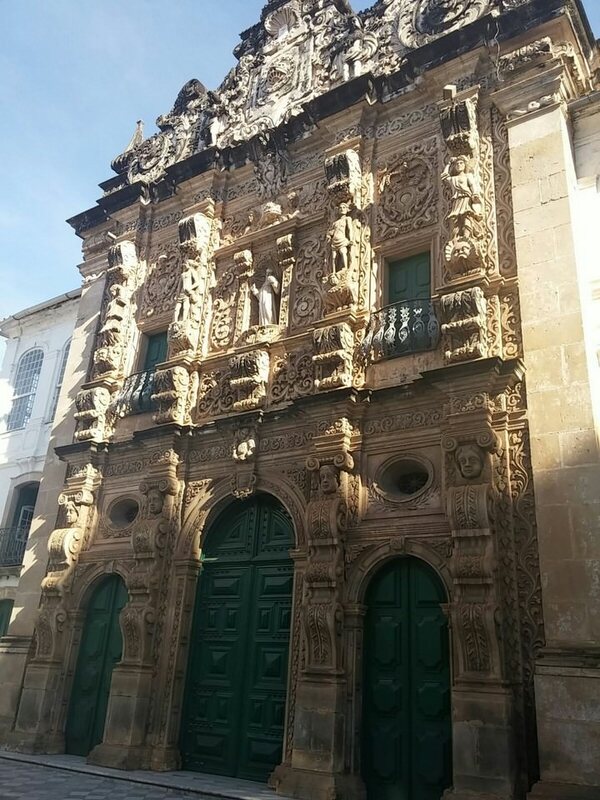 There, the Baroque style churches, are the Third Order of St. Francis of Penance; the San Francis of Paula (Third Order of Carmo); and Santa Cruz of the Military, in which facade there are neo-classical influences. In the churches of this region, carvings, sculptures and altars passed through the hands of Valentim da Fonseca e Silva (1745-1813). Known as Mestre Valentim, the carver and sculptor, also accumulated a urbanista function and was responsible for the Public Garden Project, in the city of Rio de Janeiro, where there are several of his sculptures. Fig. 9 – Church of St. Francis, Salvador, Bahia, details of the sacristy. Photo: Sandra Santana. Fig. 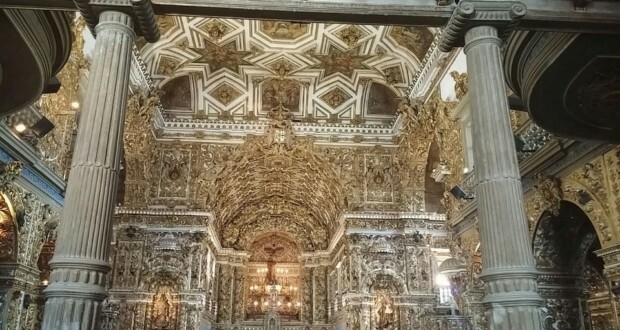 10 – Church of St. Francis, Salvador, Bahia, details of the altar of Santa Ifigenia. Photo: Sandra Santana. In Minas Gerais, gold led the development of many cities, such as Diamantina, Sabará, Mariana, Tiradentes, São João Del Rei, Caeté, Catas Altas, Congonhas do Campo, Ouro Preto, former Vila Rica, and several other Minas towns. In this region, the height of the Art , was in the 18th century, with influences from other regions of the colony and Portugal. For some scholars, there aesthetics developed there, was considered a style of its own. The inland location, of Minas complicated the transport of materials, including the tiles. Thus the artists improvised with what was in the region, improved and combined materials and techniques in construction, in construction, as in painting, and in interior decoration. The sculpture, a good example is the use of soapstone , what is abundant in Minas. Among the many buildings, it is worth mentioning the church of Our Lady of the Pillar and the St. Francis of Assisi (Fig. 16), both in Ouro Preto. Fig. 11 – Church of St. Francis, Salvador, Bahia, details of the Chapter Room. Photo: Sandra Santana. Fig. 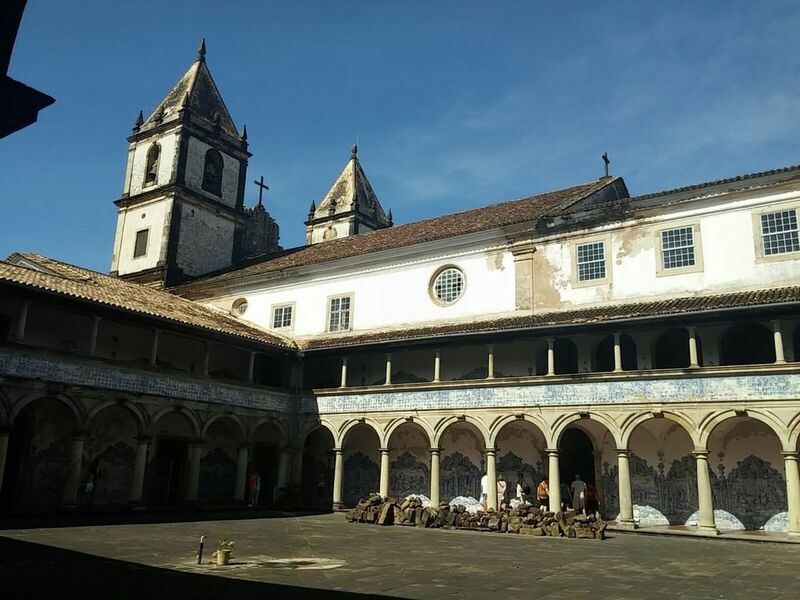 12 – Church of St. Francis, Salvador, Bahia, cloister convent. Photo: Sandra Santana. Among the names that brought to Baroque painting to Minas, it is worth remembering the Manuel da Costa Athayde (1762-1830), known as Master Athayde. And, in the Sculpture, the name of Antônio Francisco Lisboa (1730-1814), our Aleijadinho, who was also a remakable church decorator and architect. Finished in 1810, the church of San Francis, was attended by both artists, who turned the building, into a real masterpiece. Remembering daring of Andrea Pozzo 2, 3, in his fresco in the church of St. Ignatius, Italy, Master Ataide showed not only great talent, but also knowledge of perspective and vanishing point. The image opens, in the ceiling of the church, and projects the most divine scene, in which the Virgin Mary, surrounded by angels, seems to look at the Earth, with serene expression. The shades of light and dark and the use of pure colors, reinforce the contrasts, typical of the Baroque. The verticality and the perfect perspective leads the eye to the sky. Everything, in the scene, seems to move at the same time, as if it were live. Fig. 13 – Church of St. Francis, Salvador, Bahia, details. Photo: Sandra Santana. Fig. 14 – Church of Our Lady of Conceição Beach, Salvador, Bahia. Photo: Rhea Sylvia Noblat. It belongs to Antônio Francisco Lisboa 4, he design and the implementation of the San Francis church. In soapstone, His sculptures decorate the front of the church, even the altars, and the chapel ceiling decoration, there are curved lines, floral themes, angels, ribbons and the saints. Since there is no golden carving in the coating, the final effect is of lightness, within. 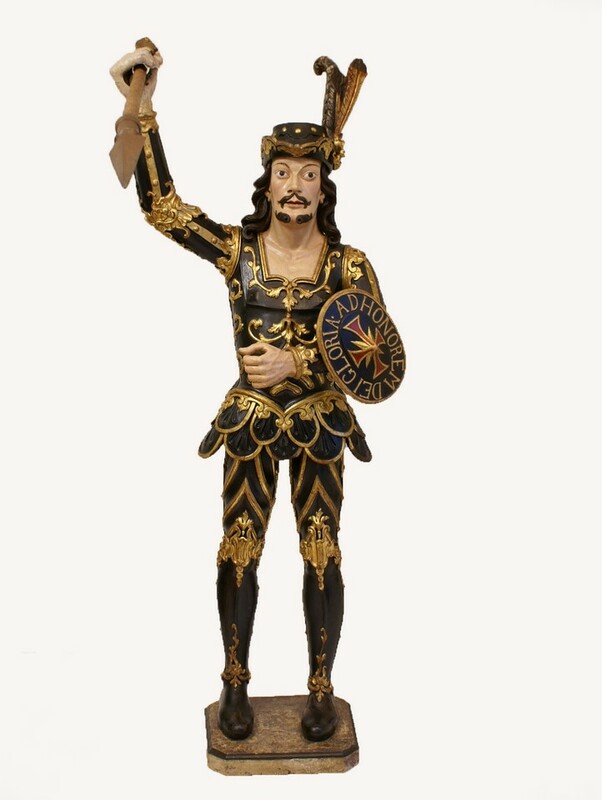 Of Aleijadinho, there are also important sculptures in the city of Congonhas do Campo, and in other churches and museums of Ouro Preto (Figures 17, 18 and 19). 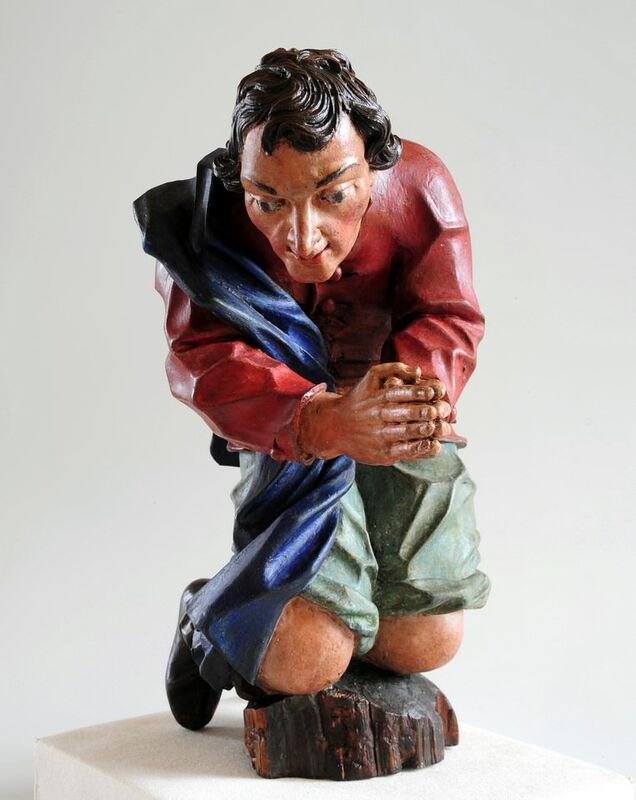 The images, show people squirming and exaggerated begging, what makes clear the major feature of the Baroque, which was the idea of movement and exaltation of feelings. In his Nativity Shepherd, The worship of Christ resembles to have tenderness, accentuated by the character position, kneeling, hands together, in sweet expression. His movement is accentuated by the clothes, that seem to paste next to the body, forming folds. The image, which is static, appears to be in action. His notable works deserve all the recognition, not only for the beauty, but perhaps, even more for his life history. The mysterious illness that, at the age of thirty-nine, affected Antônio Francisco Lisboa, affected also the movement of his hands. Despite severe disabilities, that affected him, the tools were tied, in the atrophied hands, and he produced the most beautiful sculptures, ever known in the Brazilian Art. Fig. 15 – Church of Boa Viagem, Salvador, Bahia. Photo: Rhea Sylvia Noblat. Fig. 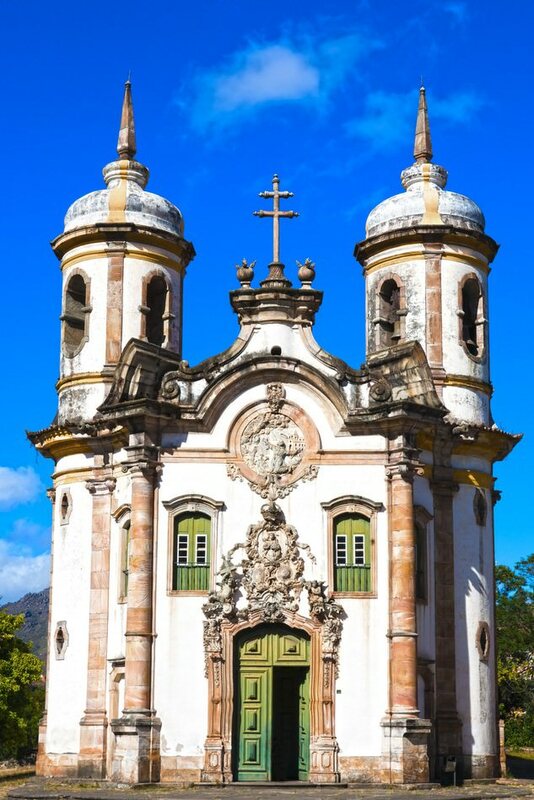 16 – Church of St. Francis of Assisi, Ouro Preto, Minas Gerais. Photo: Franck Camhi. Over the years I realized that a job done with the beating heart, with oppression chest (causing pain in the back) with the stress of the whole body, can not be enough. This can simply exhaust the artist, but not his task. The horse takes its rider, with vigor and speed. But the rider leads the horse. Talent leads the artist to high peaks, with vigor and speed. But it is the artist who masters his talent. This is what constitutes the conscious element of work - call it what you will. The artist must know his gifts deeply and, as a prudent businessman, should he not leave a small portion of them destroyed or forgotten; on the contrary, his duty is to explore, refine each of them to the extent possible. Fig. 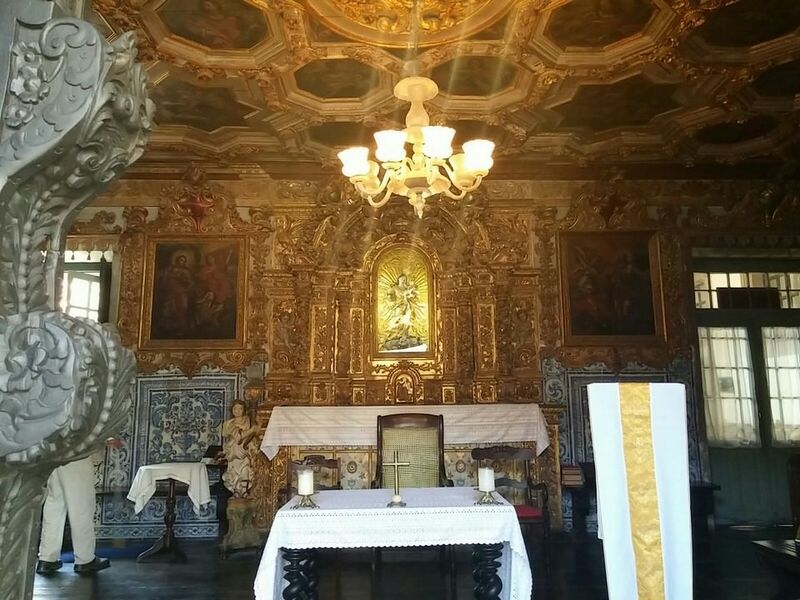 17 – Saint George, Aleijadinho, Aleijadinho Museum, Ouro Preto. Photo: Aldo Araújo. Fig. 18 – Biblical Magi, Aleijadinho, Aleijadinho Museum, Ouro Preto. Photo: Aldo Araújo. Fig. 19 – Nativity Shepherd, Aleijadinho, Aleijadinho Museum, Ouro Preto. Photo: Aldo Araújo. The Art sows charms and reaps wonders, because the artist, by the time, knows how to use fully his skills, and learns to expose his creative capacity, dominating the objects offered by his time. 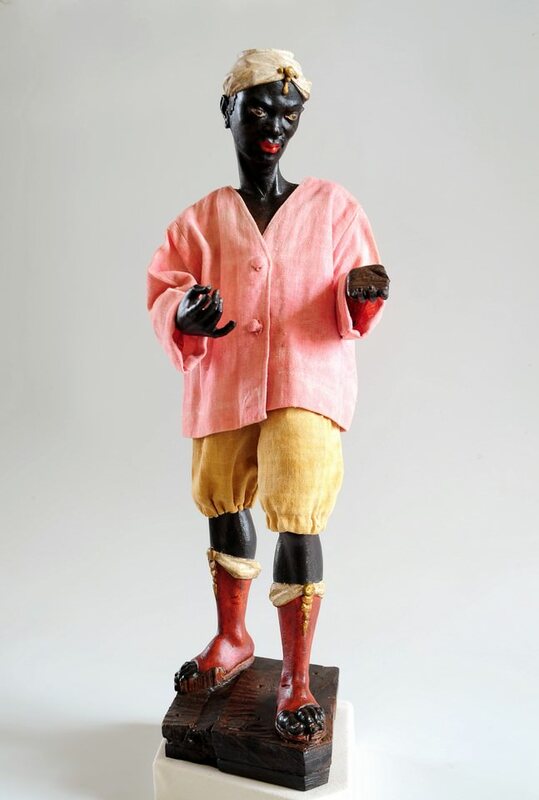 This creative spirit was revealed, in the colonial Art in Brazil. The talent of the artists allowed the domain of form and allowed to reveal the originality and to show a proper character. That's what makes the art even more beautiful. Some mortal genius ever tried! For the lovers of Art and Culture, Aleijadinho Museum is the symbol of the spirit of an artist, who dedicated his life to Art, praising religion and faith. 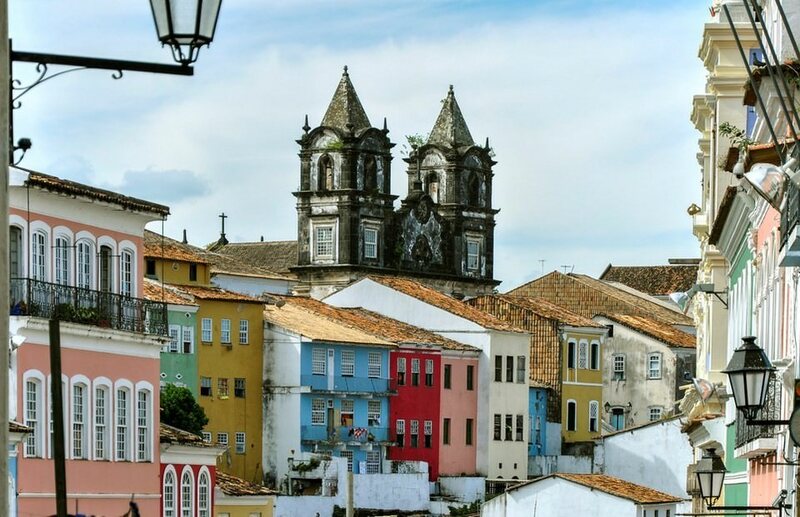 The Museum is located in Ouro Preto, in the state of Minas Gerais, in Antônio Dias Square, and there, are not only with works of the great master of the national Baroque, but also of other artists, often anonymous, who helped build a piece of History of the Brazilian Culture. 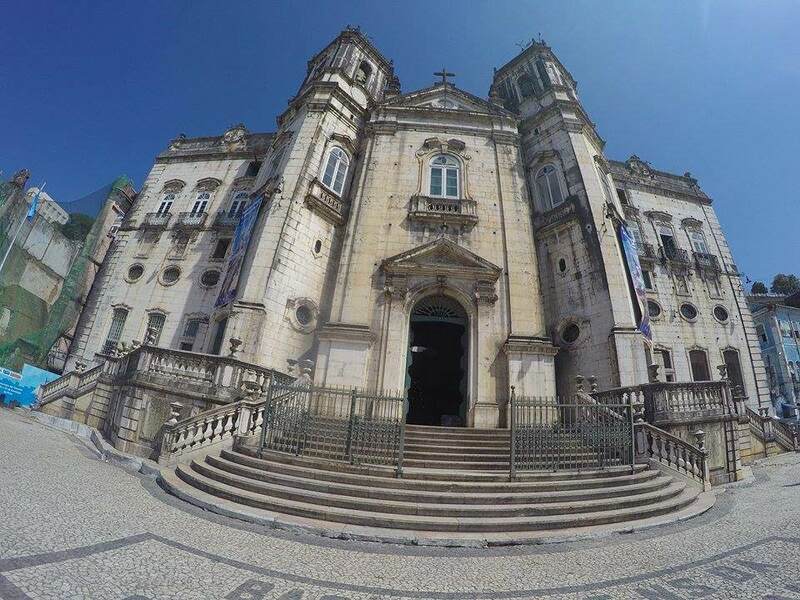 The museum was created in 1968, by the vicar Father Francisco Barroso Filho, Bishop Emeritus de Oliveira, the initial goal was to collect and to disseminate the parish collection. The museum's name, was in honor of Antonio Francisco Lisboa, who built Nossa Senhora da Conceição Sanctuary. In the circuit of the Museum, is the Church of Our Lady of Conception, the Church of St. Francis of Assisi and the Church of Our Lady of Mercy and Pardons. Cônego Luiz Carlos César Ferreira Carneiro, Parish priest and Rector of the Nossa Senhora da Conceição Sanctuary. 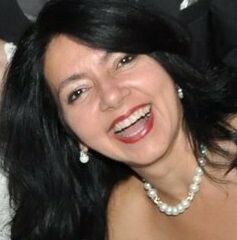 SANTA ROSA, Nereide Schilaro. Editora Attica, Séculos XVII a XIX. Rio de Janeiro: Editora Pinakotheko, 2003. Fig. 3 – Church of the Third Order of St.Francis, Salvador, Bahia. Photo: Sandra Santana. Fig. 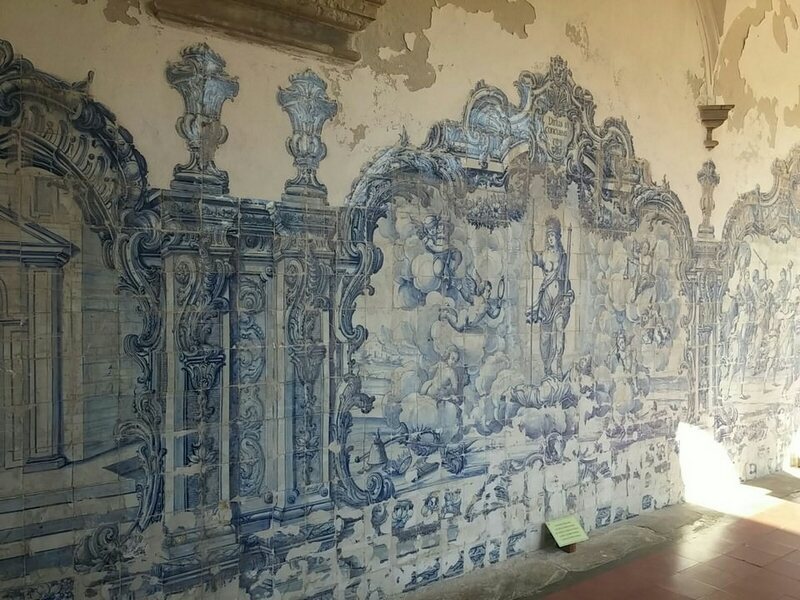 17 – São Jorge, Aleijadinho, Aleijadinho Museum, Ouro Preto. Photo: Aldo Araújo.